People often tend to use these two terms interchangeably. It is easy to get confused if you are not in the car industry yourself. In today’s post, the experts at Cash 4 Cars Adelaide will attempt to break it down for you so that you can know the difference and decide what is best for your vehicle. Car Wreckers in Adelaide buy and remove your vehicle for cash, also known as Cash For Car companies. Generally, these are end of life vehicles. Meaning, most people get rid of old or junk cars that they do not need anymore. An example is that it can be a vehicle that was in a collision. Car wrecker companies make use of this junk vehicle by recycling or reselling salvageable car parts. This means you get more money out of your old, useless vehicle. The reason is that usable parts can be sold individually by the car wrecking company. This means your car holds more value to wreckers. It is also good for the environment, as no parts are discarded carelessly. Once the usable parts have been taken out of the vehicle, the car is then crushed. The metal is sold off to a metal recycling centre. Wreckers are one of the most eco-friendly businesses out there for your useless and unwanted vehicles, as even the gas and motor oil in a car are disposed off responsibly. Making use of all the parts and having the metal recycled in the end reduces pollution and reduces the expenses of making new car parts. For Car Scrappers in Adelaide, there is no use for the functional spare car parts in your old vehicle. They only buy metal that can be scrapped later, like copper or aluminium. Scrappers then further sell off the metal to refineries. Since they do not utilise the car parts and only want base metal, your car is sold at lesser value to car scrappers. Usually, cars older than 10 years from the current year are sold off to car scrappers rather than to car wreckers. This is not always the case, just a general observation. This is how you can tell the difference between choosing a car scrapper for your vehicle versus choosing a car wrecker for your vehicle. If your car is 10 years younger than the current year, considering choosing a car wrecker to get the most cash out of your vehicle. 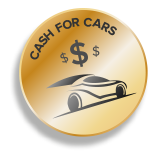 Cash 4 Cars Adelaide offers Free Car Removal service and is one of the most trustworthy companies around. Call us at 0477 413 136 for a cash quote.